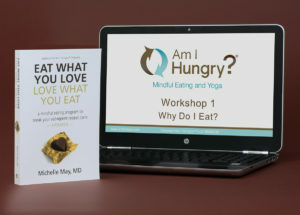 Mindful Eating and Yoga - Am I Hungry?Am I Hungry? Whether you are new to yoga, an experienced yogi, or even a yoga teacher, please join us for one of these opportunities to discover how mindful eating and yoga can transform your relationship with food and your body! This online self-paced program is for people who want to learn about mindful eating and experience yoga practices (all levels) to embody what they are learning. Our Retreat weaves together the Am I Hungry? Mindful Eating Cycle skills with a yoga practice to give you a greater connection to your body, mind, heart, and spirit. Mindful Eating and Yoga Program near you! 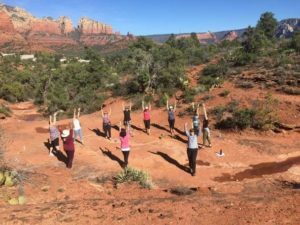 A live Mindful Eating and Yoga program may be available near you! 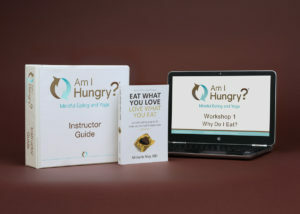 You’ll experience eight weekly workshops and yoga classes taught by an Am I Hungry? Mindful Eating and Yoga Instructor. 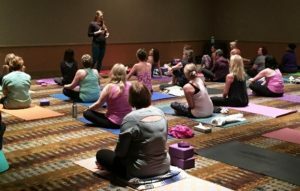 Share Mindful Eating and Yoga! Are you a yoga instructor wishing you could make an even bigger impact in the world? Train with us to share Mindful Eating and Yoga classes with your students!